Prime Minister Narendra Modi definitely has a lot of advantages over Prime Minister Manmohan Singh, especially when it comes to foreign and security policies. Unlike Singh, he doesn't have to constantly look over his shoulder to make sure his party leaders are supporting him (remember the nuclear deal?). Equally importantly, within the government, Singh was constantly second-guessed by other Congress big-wigs who appear never to have forgiven him for taking the top spot. In addition, Modi comes from a very different background, from outside the New Delhi IIC culture, and appears less concerned about mouthing empty left-liberal slogans about peace and disarmament. All this might explain why he has been much more willing to unshackle the security forces on both the Pakistan front and the China front. Moreover, can anyone imagine Singh talking about 'vistaarvad', especially while on a trip to Japan? [And for those who think that this was a one off, or that he wasn't referring to China, Modi had used the same word during the election campaign, while in Arunachal Pradesh, and it was a direct reference to China]. Having said all this though, there is also a danger about rhetoric running ahead of actual military capabilities. Credibility is important in international politics and it is better to bide your time while building up your capabilities rather than let your mouth back you into a corner. So, while Modi's firmness is welcome, I worry that New Delhi hasn't prepared for what might happen if there is an escalation. This is particularly worrisome with regard to China, but also a problem with Pakistan. My essay in the Economic Times outlines these concerns, and is reproduced below. India's unusually tough response to Pakistan's border infractions appear to have silenced Islamabad. At least for now. Much to its own detriment, India has rarely considered military force as an element in its strategic tool kit. If India's response now signals a change in how it combines diplomacy and force, it can only be welcomed. But the harsh political rhetoric that accompanied this apparent change in strategy has its own pitfalls that New Delhi needs to consider with care. US President Theodore Roosevelt is credited with the aphorism 'Speak softly and carry a big stick'. This reflects a happy synergy between political rhetoric and practical capacities, but one that is rarely forged in foreign policies. India's leaders have been particularly inept in understanding this relationship. In mid-October 1962, as the border crisis with China was reaching boiling point, Prime Minister Jawaharlal Nehru told the press that he had instructed the Indian army to "free our territory". This was foolish bravado because his own army commanders had told him just two days earlier that they had barely enough strength even to hold their positions. What followed is well-known. 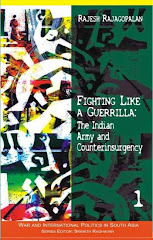 Operation Parakram, the large-scale Indian military mobilisation that followed the terrorist attack on the Indian Parliament in December 2001, is another example. This time, India had the capacity to go to war, but the mobilisation took place without any strategy or thought about the ultimate endgame. When Pakistan called India's bluff, New Delhi had no choice but to stand down. 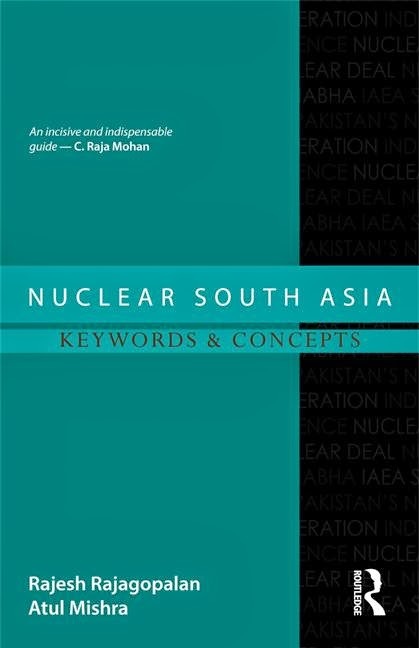 All India managed to do was demonstrate its helplessness in dealing with a nuclearised Pakistan. prevent Iran from getting nuclear weapons is treated with equal scepticism by Israel and the Gulf states — it is because Obama's words no longer have much credibility among his partners. Nations and leaders should resist the temptation to make commitments they will have difficulty keeping. The American international relations scholar Scott Sagan called this the 'commitment trap': if you make thoughtless commitments, you will either be forced to keep them or risk losing credibility. This is a lesson that the Indian government needs to take seriously. Over the last two months, the Modi government has repeatedly outlined a much more unambiguous and firm approach towards foreign policy issues than its dithering predecessor. This is welcome. But such pronouncements can be dangerous if they are not matched by actual capabilities. This is particularly so in dealing with China. On the recent Chinese incursion on the border, Modi demonstrated great resolve and selfconfidence, directly and publicly telling President Xi Jinping about his serious concern over such repeated incidents. Earlier, during his visit to Japan, he had decried 'vistaarvaad' (expansionism), a thinly-veiled reference to Chinese assertiveness in the Asian region over the last few years. And in the joint statement during his US visit, there was more than one reference about unacceptable Chinese behaviour, including the threat to sea lanes of communication in the South China Sea. Balancing China, whether stated or not, is the glue for India's new special 'partnerships' with Japan, US and the other Pacific powers. But in making these commitments, New Delhi needs to be sure that it can back up strong words by building up actual military capabilities. China's strategic culture has been characterised as being based on a 'parabellum paradigm', a Realist worldview in which the use of military force is a necessary component of strategic policy. This means China taking India's words as a serious reflection of New Delhi's intentions. Empty rhetoric will be particularly dangerous in dealing with China. This goes for Pakistan too. The Pakistani army will quickly recover from its surprise at India's firm response. It is unlikely that this will be the end of Pakistani adventurism. India needs to be firm but it also needs to be careful, marrying military force to foreign policy, but in doing so, also recognising both the possibilities and the limits of our capability.